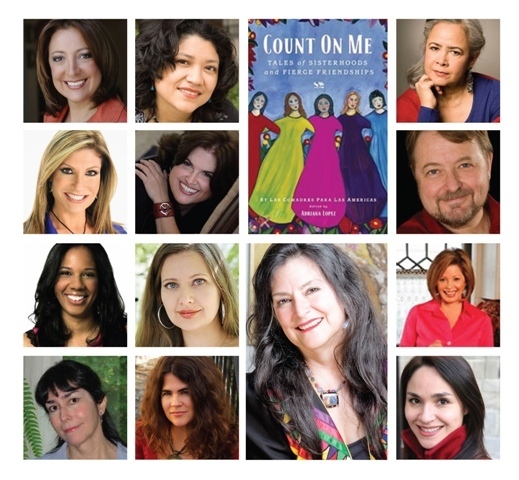 I am so proud to announce the release of COUNT ON ME: Tales of Sisterhoods and Fierce Friendships, by the amazing Latina networking organization Las Comadres. Editor Adriana Lopez gathered some top-notch Latina writers–including Esmeralda Santiago, Lorraine Lopez, Sofia Quintero, Reyna Grande, Michelle Herrera Mulligan, and our beloved compadre Luis Alberto Urrea–and asked them to write a tribute to their closest friend (or comadre). The result is a deeply moving anthology of a dozen essays that officially goes on sale September 4! Frederico Vigil is afraid of heights.